Deputy Justin Gay receives the Star of Texas award from Governor Greg Abbott. 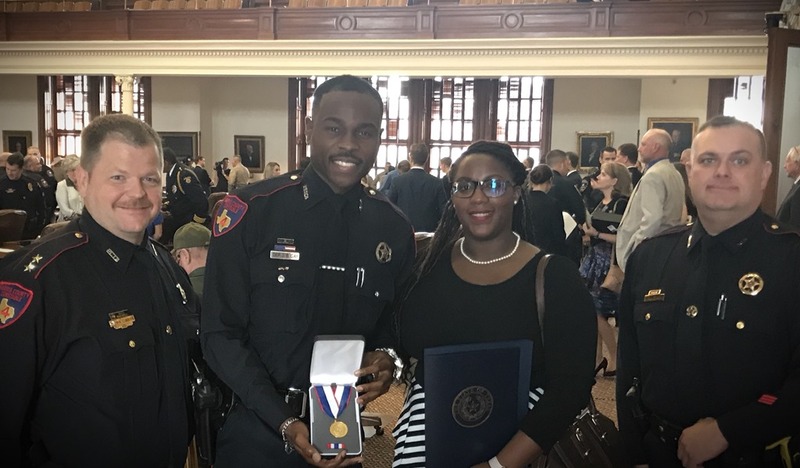 On November 5, 2017, Deputy Justin Gay with Constable Mark Herman’s Office, was injured in the line of duty after responding to a domestic disturbance call. 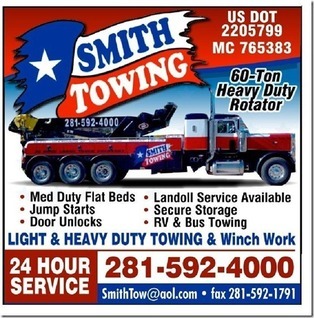 The suspect had fled from the location prior to his arrival and Deputy Gay began his search for him. After finding him a short distance away, the suspect began resisting and discharged a firearm several times, striking Deputy Gay in both legs causing severe injury. 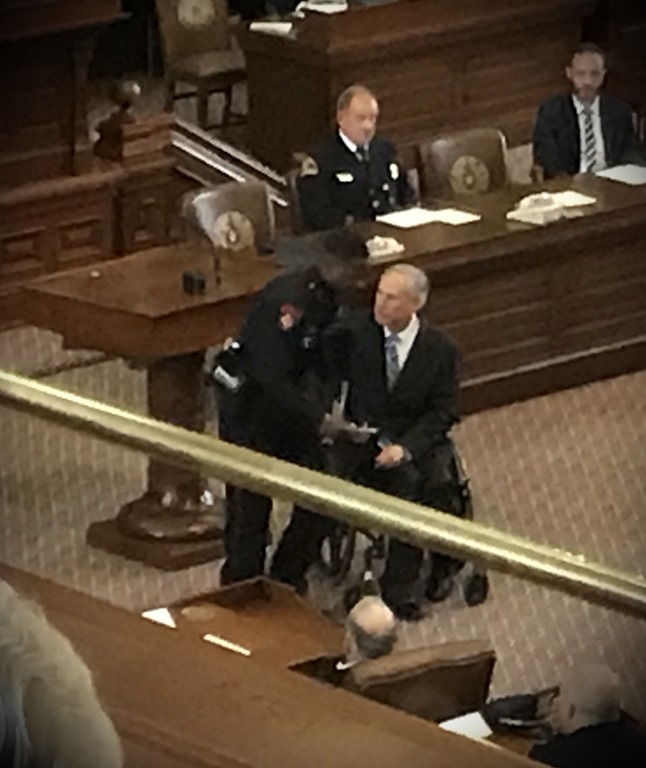 Deputy Gay has since been on the long road of recovery and today, September 11, 2018, he was honored as a Star of Texas recipient presented to him by Governor Greg Abbott. 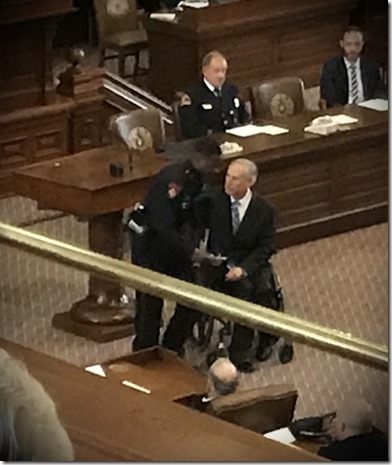 The award is presented to First Responders who have suffered severe injury in the line of duty.